“Life is like a box of chocolates, you never know what you’re gonna get.”Forrest Gump. Isn’t that the truth. Have you ever looked back at your life dreams and compared that to reality, so often they are vastly different. My life right now is in a bit of upheaval, and it has me reflecting on the past, present and future. As humans we have this great capacity and need for dreaming, its so much of our life…dreaming about what we will do, how our families will be, what our homes will be like, the next amazing vacation; for some, life is already a dream come true, but of others, its not been so dreamlike. And context is so crucial here too, because my reality could be your dream, or vice-versa. Having lived through this before, I can compare this time to last time, and I can work at doing it better. And this time, the fear is different, the impact feels less extreme and the reality is, I get to dream again. Dream about what he will do, dream about what I will do, dream about the possibilities. It’s just a job, but wouldn’t it be great if he loved his job. Would’t it be great if this was a redirect to something even better…that’s what we all hope for when big changes like this happen, better, because we dream. I hope to never lose the ability to dream, because I think that is the charm and sparkle that keeps like moving forward, the catalyst to change.What are your deep down dreams? As adults, life and kids and responsibilities take over and sometimes we forget that deep down dream that once was so vibrant. I sometimes wonder what the world would look like if we all gave those dreams a little more attention, a little more space to exist; and then what if we pursued them? What if complacency and fear took the backseat, and fervently chasing that dream became a priority?! The past few years I have been solely focused on my family, specifically the health of my son and his struggles. It consumed all of me, and the more I invested in him and fought for him, the less alive I felt. It was hard and all-consuming and required me to be completely selfless, the dreaming had died. But then he started to improve, and it didn’t consume all of me anymore, and the little dreams started to surface again, and pretty soon I wondered if the little dreams could be the big dreams…so here I am, diving into waters that make me feel a little uncomfortable and out of my element, but you know what, I’m chasing my dreams. And with each step closer to the dream, my spirit lifts, my heart feels freer and life feels a bit more magical. So do me a favor, take a few minutes today and just dream…dream about your future, those deep heart desires, and the possibilities, because life is full of them. Dream on my friend. Oh my heart. I just finished snuggling my baby; he’s four now, and feels like a giant. As I stared at him all nestled in my lap, he looked so big. I’ve spent the past four years snuggling this child more than I care to admit, and I can pull up countless photos to prove it. Snuggling him through illness, and grouchy days and impromptu naps…days upon days upon days of snuggles. That’s what he needed, and I selflessly gave, but not always joyfully. At the time I often resented it, all of my time spent confined, desperate for space; but now, as I’m snuggling this tired little boy, I’m overwhelmed by how much I miss it. How much I miss those sweet cheeks buried in my chest, his warm little body sprawled out across my lap and the steady drone of his breathing…such sweet memories. How quickly things change, just a few months ago I was still confined more than not, but now its so rare, and I’m realizing its the start of many missed moments as my baby grows older. With the older kids I was desperate for them to just do something, anything without needing me; but now that its my baby, I’m not quite so eager, for a day will come when he no longer needs me. It almost hurts to type that, I mean that’s not really something I even think about; my children will one day not need me. That is what we are all striving for as momma’s right, for these children to turn into self-sufficient adults; and now as I stare at my four year old, I realize these years will be gone in a flash. I have found myself lately smiling a bit more as I trip over toys, or find cushions made into a fort, or when he grabs for my hand unexpectedly, or when he pecks me with those sweet, slobbery kisses…its going by so fast! And I don’t know what I will do when these moments are but a memory, when they are big and can do it on their own, when I’m not the most important person in their life. I mean, lets be honest, it has its downsides, but you can’t beat the love of your littles. My daughter turned seven this week, and its shocking how grown she is now. A first grader who is reading and writing, confidently living life without me by her side. She is growing into her passions and dreams and its a little bit startling…not that long ago she was the one pecking me with slobbery kisses, grabbing my hand to cross the street and yelling momma every two seconds. There were days that I swore thats all they said, the incessant drone of momma all day long, so draining. But now, I hear it less; don’t get me wrong, it still feels like a war zone at times. But its shifting; they need me less, they entertain themselves, and somehow, my momma instincts can feel the change. The instincts just know it, life is changing, for the better in many ways, but also bittersweet. The life I’ve been striving for, all three kids in school all day long, its coming, and I might become the cliche mom who cries…I swore I wouldn’t be her, I’m not an overly emotional person, so to me it always seemed a bit extreme; but I might. And I think the tears will signify the sweet memories of the past, and the acceptance that this child is launching into the world without momma by his side. Be still my heart. A mother’s fierce mama heart and instincts to protect her offspring whatever the cost has always been fascinating to me. To think she would do anything for her kids…and until becoming a mother myself, I never knew how much mama’s truly sacrifice for those littles. Day in and day out absolutely everything in their life revolves around those children…feeding, laundry, diapers, toilet training, cleaning, playing, reading, disciplining, worrying…constant investments in transforming little people into quality big people. When I became a mother, I knew I would do anything for my littles. And while I have invested more than I ever dreamed, it wasn’t until my youngest, Tate, joined our family, that I started to understand exactly how strong mama’s protection really is. We’ve been through quite the journey with Tate, from being a sickly baby and toddler, to fighting for his health and finding healing for his body, only to struggle with a new challenge; all of it leading professionals to question why he functions as he does. We addressed, and thought laid to rest, the autism diagnosis last year, but it reared its ugly head again a few weeks ago. The specialist in our first visit started throwing out words like ADHD and autism, but different specialists would confirm…so for two weeks we prayed and pondered a future with those big words included. We would do it, we would figure it out: we researched and knew lots of money might be needed for treatments and we would do whatever it takes to help him. With numbers floating in my head and uncertainty as to how we would ever make it work, I pondered things like selling our home and downsizing our life, this was my child and I would do ANYTHING to make his future the best it could be…and then it hit me like a load of bricks. THIS is how my Heavenly Father feels for me, He would do anything to make me the best I can be…He chose me and fights for me and I am His child. “For you created my inmost being, you knit me together in my mother’s womb” Psalm 139:13. We are loved and valued and desired and He will fight for us. We have a perfect Heavenly Father who loved us even as a baby in the mother’s womb…a Father’s perfect love. So humbling and undeserved and so perfect. Tate’s future is still uncertain, but once again the autism diagnosis has been laid to rest, as well as the ADHD. We may never know why Tate functions as he does, it could simply be that a hard start in life creates anxious preschoolers; but there is hope for his future. Even with scary labels, there would still be hope for his future. He has a mother and father who love him, as well as a Heavenly Father fighting for him. A mama’s heart is fierce for her babies, and that is a gift from God. It’s lunchtime and Tate is hungry, so mommy cooks him a corn dog and sets it down in front of him. But it’s too hot to eat, so they play shapes while it cools down. Mommy prepares her lunch while Tate eats his corn dog. Mommy sits down to eat, and Tate has finished his corn dog and would like more. So mommy gets up and heats more food for Tate. So they play shapes for a few minutes. Tate eats his food, but now needs water, so mommy gets him water. Tate then spills the water, so mommy wipes up the mess while he finishes his food. Mommy sits down to eat her now cold food, and Tate is done eating. Mommy cleans his hands so he can play. Mommy gets ready to sit down in front of her now ice cold food, and Tate gets his toy car stuck under the oven. Mommy tries to get it, but can’t. So she pulls out the oven and retrieves the car. It’s dirty back there, so mommy grabs the vacuum and mop and cleans. She then cleans the counters and side of the oven before moving it back in place. Now she has the vacuum out and needed to vacuum the floors anyway, so she vacuums the main floor. Now, what was mommy doing? And this is why all mothers know that the book was actually written about our children..the guiltiest little mice of all! Yesterday our youngest, Tate, turned 4 years old. Birthdays are always exciting and full of reflection; I mean, kids just grow so fast. But this particular birthday has carried so much emotion with it. The improvements in Tate this year have been amazing, and looking back at our four year journey with him, I can’t help but feel so thankful for all of it. To top it all off, I started an intense body bootcamp program one week before this birthday. Now that my days aren’t spent managing life with Tate minute by minute, and my nights aren’t spent awake with him; I decided to focus on me for a bit. I knew that this program would stretch me, and I started ready to give it my all. What I didn’t expect, was emotion tied to a simple workout and eating program. Leaving today’s workout, I was struck with how pursuing strong is forcing me to shed the “weight” of four years of trauma. I feel for parents of sick children; and while our journey hasn’t been as intense as some endure, I know very personally just how much our bodies store that trauma. When you are deep in doctors visits, and ER visits, and hospital stays, and specialists and all these people trying to help you sort out life with this child, and day to day is so dang hard; you aren’t processing, you are surviving. Years of survival builds up, and now that my Tate is functioning more normal, I’m ready to shed the “weight”. What’s fascinating to me, is that its been surprisingly motivating…the thing that’s pushing me harder each day isn’t a desire to be skinny (that would be nice though! ), but more this deep down drive to shed the emotions, the trauma of four years. It sounds so cheesy on paper, but my goodness, aren’t humans fascinating. The way we process and survive, not always thriving but doing our best to just get through the mountain in front of us…now I’m ready to pursue thriving, to focus on me and to shed all the “yuck” that I’m still carrying deep down in me. I no longer panic with breathing episodes, or when I hear a person cough in public, or when someone is clearly sick and near my kid; I no longer panic at being in public with Tate, wondering if he will sit still, go crazy unexpectedly, or refuse to participate and just “shut down” at the most inopportune time. I’m able to function with less anxiety and stress and over-preparing for every minute of my day. What a refreshing, and almost forgotten, reality. I’m sure our journey with him isn’t over yet, but I’m reveling in the peace and calm that each day brings. And the luxury of early morning workouts, pushing past my limits and forcing strong (its still just a dream), that’s surprisingly therapeutic. So please pardon my million Facebook posts, and odd emotions for these next five weeks (or more), because sometimes in journeying to strong, you first have to shed the emotional “weight” that life has handed you….here’s to life free of it all, emotional and physical, here’s to strong. Oh my, it has been so long since my last blog and my heart has been so filled with words all this time. Life is just chaotic and busy and most days more than I can handle, much less putting words to paper. I’ve spent the past month wrestling with sick kids and harsh realities…the kind that feel like a kick in the gut and change your life forever. My youngest, Tate, is without a doubt a blessing to our family. The child that we knew we were supposed to have even though we had said we were done. He came into the world fast and furious but was the sweetest little baby. 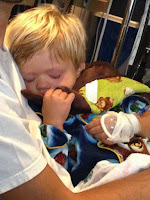 From the start his health was a struggle and we experienced numerous doctor, ER and hospital visits. As he got a little older his demeanor changed from happy to miserably grouchy. We spent our days attempting to snuggle while he screamed and cried. He became aggressive and emotionally shut off and it was heartbreaking to see him struggle daily. My reality changed practically overnight and most days seemed unbearable. The joy in our home seemed to seep away more and more daily and I found myself wondering why this was my life. Close to Tate’s second birthday we made some diet tweaks and found an essential oil regimen that had him functioning so much better. But as time went on and we were less strict with his diet, he regressed. There are no words that adequately describe a life nothing like what you imagined, but its even worse when you see your child struggle with no way to help. We were doing everything we could to help him, and I secretly wondered what was really wrong with this child. Having raised two other children through the toddler years, I knew that his behavior was far from normal. They were the kind of fears you keep buried in the back of your mind and avoid at all costs. 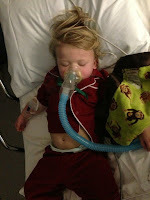 Then it happened, we were at a doctor’s appointment because Tate had been struggling with a “stomach bug” for over three weeks. His cultures showed no parasites or infection, so we were left with a simple answer of “it will get better”. But during that visit, the Dr noted Tate’s anxiety, slow speech and lack of socialization…all signs of autism. 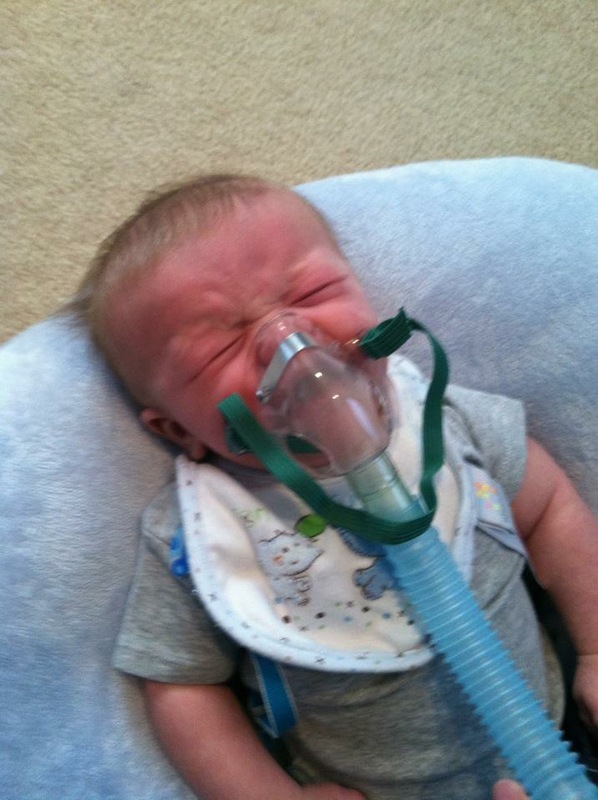 He wanted to have Tate’s hearing and speech tested and the dreaded “A” word was used. I should clarify he in no way said my son suffered from Autism, but my biggest fears were right there, spoken, and a punch in the gut like no other. In one moment all of my dreams and desires for this little boy were dashed at the thought of him fighting this for the rest of his life. Struggling to connect and relate to the world, struggling to learn and thrive and live what most would view as a “normal” existence. This was my baby, and while there are wonderful people fighting this fight daily, I didn’t want my baby to be one of them. I give you this emotional context because the flurry of emotion and the impact is so crucial to a heart change…so crucial to feel that blow and find a way to keep standing. Our family clung to God, prayed, and started to explore other causes for his behavior. Almost instantly gluten intolerance and celiac disease came to light with cases of it mimicking Tate’s situation, not to mention the mysterious “stomach bug” he had been fighting. We removed gluten from his diet and almost instantly he was a different child, he is socializing and happy and the “tummy bug” was gone. He was all of a sudden a normal toddler! The emotions of the journey, which has in many ways just begun, were not so quickly healed, and that’s okay. It was as if God was hitting the reset button in my life. I think back over the past two years fighting for Tate’s health, struggling to survive each day and wondering why this was my life. There have been numerous times throughout the journey with Tate that I tried to find outlets for me in midst of it all…thinking that a hobby or fun thing would somehow make it more tolerable. So many blogs and articles and journals encourage mothers to seek an outlet and take care of them; I would in no way say that is a bad or wrong message, but I now believe that seasons will come when that just isn’t possible. Each and every outlet I pursued required me to walk away; the at home sales opportunity that was perfect for me, the early morning workouts that just weren’t feasible with so many hospital stays and sleepless nights, the play dates that were next to impossible with a child like Tate, and so many other missed chances. My life needed to focus solely on this child and my family, there was room for little else. I’ve realized that it’s okay to have seasons where our focus is on nothing but what’s in front of us. It took me a long time to accept that my view of perfect, that all of those amazingly wonderful things I used to love doing, might not happen right now, and if they do, it likely won’t meet my previous standards. And while I wish I could only embrace the perfect and revel at how amazing it is, I know that without the imperfect, my life would be a shallow mess of perfect pictures and little depth. It’s the valleys that allow us to appreciate the mountaintops…I’m still waiting to find my way back to the mountaintop, but even a few more feet up the mountain is improvement. And needing to cling to God daily, while hard, isn’t a bad place to be. Being able to experience his provision and grace daily with a raw heart is a huge blessing! While this journey isn’t over, and has been less than fun, I know that right now I’m being required to live in the trenches and fight for those I’ve been given me. I know that I fail daily and offer less patience than I should…but it’s my journey and I am learning so much. The more I am required to give (and I’ve given so much more than I knew I had! ), the deeper I love. I never knew how strong my Momma Bear instincts could be until they were tested, and who knows, you might see me crusading for a Tate cause someday soon, but I will leave that for another day. That we can break down these walls of perfect and be vulnerable….finding the freedom to be “me”, full of my imperfections and humanness. The me that has all sorts of awesome strengths, and just as many flaws. When did society buy into the lies that we can be superwoman and perfect at everything!?! Who wants to be friends with that person!?! I would much rather spend my time with people who can admit they are human, admit that they can’t do it all, and claim that confidently. I want a friend who is vulnerable and real and full of grace. Let’s stop competing and trying to find our worth by outdoing one another…I don’t want to hang with the mean girls. Let’s be real, inviting each other into our messes and not worrying about it…because we want to hang with the big girls who have it all together, who know that real beats fake every single time. And by all together, I mean that they live confidently with their flaws and don’t apologize for being human. I’m human! I am a miserable housekeeper but I can cook up a feast, I rarely get the clean laundry off of the floor but I can style you like nobody’s business, I’m terrible at remembering to respond to that email but I will drop anything to be there for you, I never remember the thank you or birthday cards but I’m always thinking of my friends…and those friends love me for all of that! The good and the bad!! I have three kids, and after the first two, thought I had this parenting thing figured out…then my third came. He’s all sorts of awesome, but nothing that worked with the first two works with him. I’ve spent the past year and a half wondering what I was doing wrong. He did things in public I swore my kids would never do, he’s not social and doesn’t care what is considered acceptable behavior, (he’s two, so that’s not surprising!) and I could honestly fill a whole blog with crazy parenting stories….but the thing that threw me with this kid was the judgement I experienced while out in public. I never dreamed another mom could treat me with such disdain. I mean, does she not have real kids?! You can’t tell me her kids never threw a temper tantrum in public, or hit someone when they were mad, or screamed at the top of their lungs when they didn’t get their way, or refused to sit in the shopping cart, or spilled their snack!! Where was the grace and the team mom mentality!? This is what I’m getting at…my kid shouldn’t have acted that way, but he’s a kid and I’m working on parenting him the best I can. 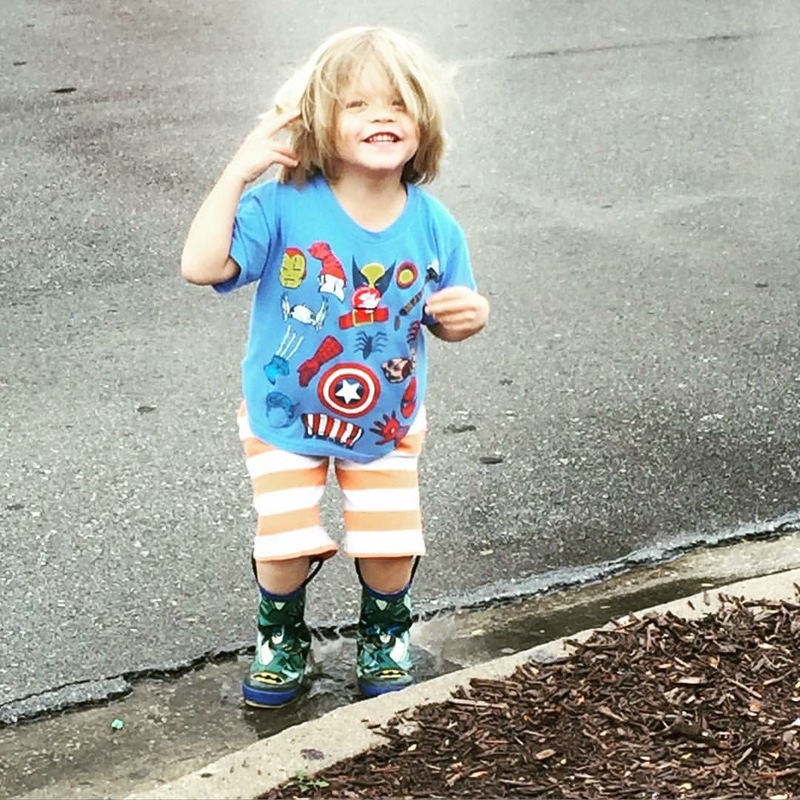 My parenting isn’t perfect and he isn’t perfect, but who are they to judge?! I’m guessing that those glass houses would shatter if they looked inward, but they don’t, so they judge and pretend to be some form of superwoman. Its time to let go of these perfect-got-it-all together images and embrace the real us. The person that doesn’t have it all together but is doing the best she can, the woman whom God chose and loves regardless of those flaws and imperfections. Lets grab hold of that God given grace and share it with those around us! I have been just as guilty of judging and pretending to be all that, but I’m not and I’m tired of the game. I just want to live a messy, imperfect life with people willing to do the same. So, join us on this messy (or not so) journey and lets teardown some walls! Lets embrace the ME God wants for us and let go of the guilt and judgement…you are chosen and loved! !